Smartphone fans now have an abundance of new hardware to choose from in the run up to the end of the year, with numerous new handsets becoming available. Today we have some news for customers of US carrier AT&T as the HTC One X+ and One VX pre-orders begin with a release shortly. HTC may have lost some ground recently in the Android world to the likes of Samsung, but the company still has some great handsets on offer to consumers, and as the Android Community are reporting AT&T has announced the pre-orders of the HTC One X+ and One VX with a release of November 16th. The highly desirable HTC One X+ is almost the same as the original One X available on the carrier, but this version gets treated to the quad core Nvidia Tegra 3 processor that is found in the international version, although there has been some improvements made. 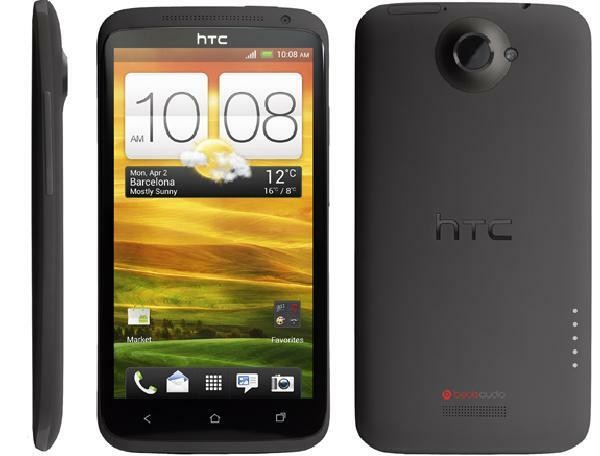 AT&T’s HTC One X+ has a processor clocked at an impressive 1.7GHz and also offers full 4G LTE connectivity as well, which is coupled with 1GB of RAM and the option of up to 64GB of on board storage. There is also a 4.7-inch HD SLCD2 display with 1280 x 720 resolution, eight megapixel rear camera with a 1.6 front facing shooter. HTC will be launching the handset with Android 4.1 Jelly Bean already on board with the Sense 4+ overlay, and AT&T will sell you the handset for $199.99 with a new two year contract. Meanwhile the HTC One VX is a lot cheaper at $49.99, but the device still has a lot to offer. The handset uses a 4.5-inch qHD display at 540 x 960 resolution that is powered by a dual core Qualcomm Snapdragon S4 processor clocked at 1.5GHz, and is coupled with 1GB of RAM. Camera wise you get a 5MP unit on the back and a VGA unit on the front, and the device will ship running the Android Ice Cream Sandwich operating system, but should eventually see Jelly Bean. Are you going to order the HTC One X+ or One VX?